Central AC Repair pros discuss ducts, not ducks. Have you ever been told by friends and family that it’s important to have your system’s duct work periodically cleaned by a central AC repair company? If so, whoever told you that was absolutely right on the money. That’s because HVAC systems’ duct work is notorious for harboring dust, debris, mold, mildew and pests. If that isn’t disturbing enough, over time, all of that build-up may also impact the system’s effectiveness and efficiency. After all, in order for an HVAC system to function as it was intended, air has to make its way through those ducts. Therefore, it stands to reason that the more dirt and debris is present, the less efficient a HVAC unit will be. What your learned friends and family members may not have shared with you is how crucial it is to select the right central air conditioning company for the job. HVAC systems’ duct work, if not cleaned correctly, may sustain noticeable damage. That’s why it’s important to select knowledgeable, highly rated, central AC repair technicians that opt to use time-tested, cleaning methods. 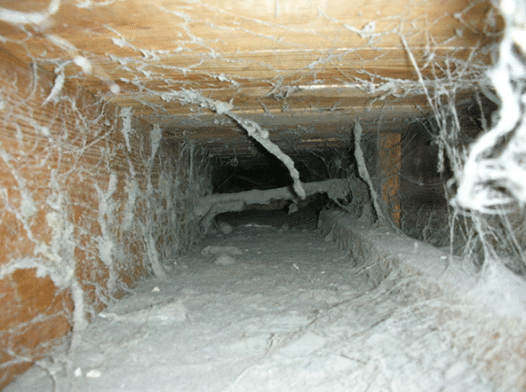 They tend to effectively, and safely, remove mildew, mold, debris and dust from a variety of duct work set-ups. Once our highly trained technicians finish thoroughly servicing your central A/C system, there is a good chance that you’ll notice a marked improvement in efficiency and indoor air quality. If you do not, keep in mind that our superior trained technicians offer a 15% energy saving guarantee and free energy surveys. We also offer hassle-free maintenance agreement plans, up-front pricing, on-time service guarantees, three year system warranties and check call status updates for those that may be interested. So there is no chance that our service techs will leave you red-faced and fuming over unfulfilled promises. To learn more about our central AC repair and routine maintenance services, please contact our SoBellas cooling specialists at (800) 617-6235 today. Posted in Air Conditioning Repair, Uncategorized and tagged ac repair, air conditioning tune up.